Finding the right electric company to handle your electrical work can be a difficult decision for builders. Electricity is a vital part of any building and must be designed, planned, and installed perfectly to prevent any delays or failures from occurring during the construction process. When choosing an Orlando electrician for residential new construction, builders don’t just pick any company. They look for reliability and trust which help move the project along quickly and efficiently. Strada Electric has provided builders with top service all over Central Florida and will always continue to do so for many reasons. 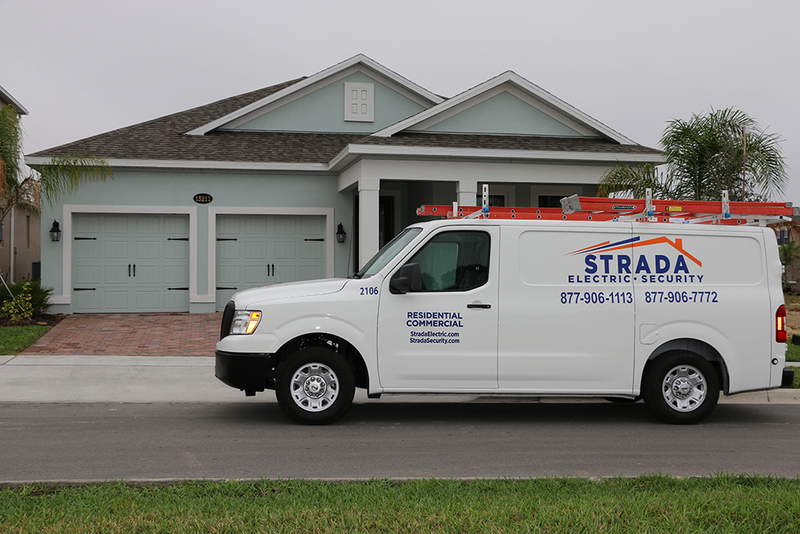 By choosing Strada Electric, builders know they’re getting the best experts and professionals as we always have talented Orlando electricians available to conquer any electrical problem and scenario. Clients are always treated with respect and are highly valued. Strada also understands how critical electrical work is to a project and vows to always be dependable. Strada Electric offers several sought after services that builders require to complete construction. From facility wiring to backup generators, Strada Electric does it all, and we do it well. Finding the right electric company match for builders is important, which is why we make sure we’re well versed in all aspects of electrical work. From designing, planning, and customizing all electrical needs for any project, there’s really no limit to what we can do for builders. With everything Strada Electric has to offer builders, we’re virtually a one stop shop for any construction project. Knowing the ins and outs of all aspects of electrical work helps make the decision on what builders should choose to handle any work they may need done. Joe Strada, co-founder of Strada Electric, has invested his time in electrical work since the age of 19 and continues to instill his passion into his business and employees. Because of his commitment, for more than ten years, Strada Electric has been helping builders successfully finish projects. With a strong, talented group of professional electricians, we’ve become one of Central Florida’s most sought after, capable electrical companies. Builders know what they’re looking for when deciding which electrical company they want to work with. For these reasons, Strada Electric’s Orlando electricians for residential new construction have been chosen over and over again. Our commitment and reliability put us on the top of the list in Central Florida, and we’re proud to help all builders in need. If you’re looking for the perfect electrical company to work with, call us at 877-906-1113, and you’ll see why builders choose Strada Electric first hand.